Players form two lines at center court. Player 1 begins the drill. He skates with puck and passes to player 2. Player 2 passes back to player 1 who takes the shot on goal. Player 2 goes in for the rebound. 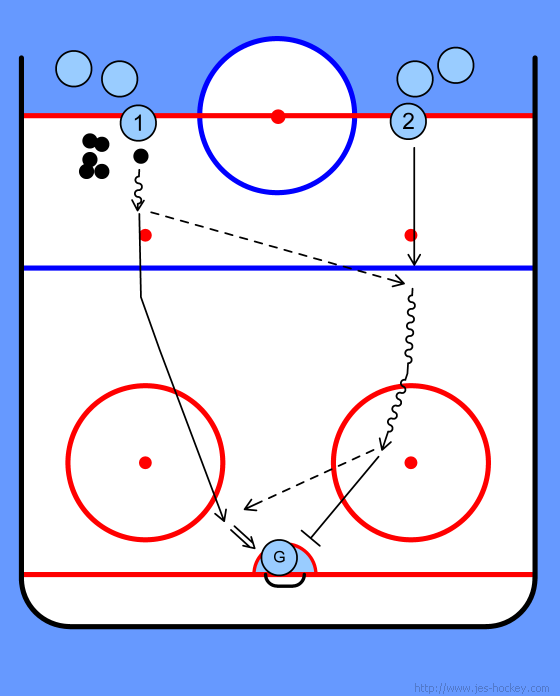 Player 1 skates back to line 2 and player 2 skates back to line 1.